Several years ago, Google launched a new feature that would display the results of a search as you type them out. Dubbed “Google Instant” the company was delivering a new idea in real-time search. As of today, this feature is effectively removed from Google’s search engine. We’ve got the scoop, so read on. Marissa Mayer, who would go on to lead Yahoo!, launched Google Instant in 2010. She wanted to fundamentally change how we use search, and how responsive search can be. This shift generated a ton of buzz when it first dropped. At least half of all searches are now carried out by mobile devices, rendering Instant search a bit outdated. It’s not possible to render these types of searches easily, and responsively, and so Google has opted to retire this feature entirely. Google’s new search feature will show suggested searches as you type, with the ability to click or tap on the result to be taken to a search results page. This subtle shift provides similar functionality, and many users will barely notice the change. In essence, this move helps establish some level of uniformity for Google. Some desktop users had already disabled Instant search, finding the function problematic for a number of reasons, and so this move brings the desktop and mobile experiences more in line with one another. Search won’t fundamentally change due to this shift, but users may find a few extra clicks are necessary to get what they want. This could be an opportunity for search ranking competition as well, which was dealt a fierce blow when the top results were getting the primary amount of clicks and coverage. Google first launched its Instant Search feature several years ago. At the time, this function would display the results of a search as the user was typing. This kind of real-time search aligned well with Google’s mission to emphasize speed. The company dubbed the feature: “Google Instant”, but it is effectively dead as of this moment. Why did Google pull the plug? Read on to learn more. 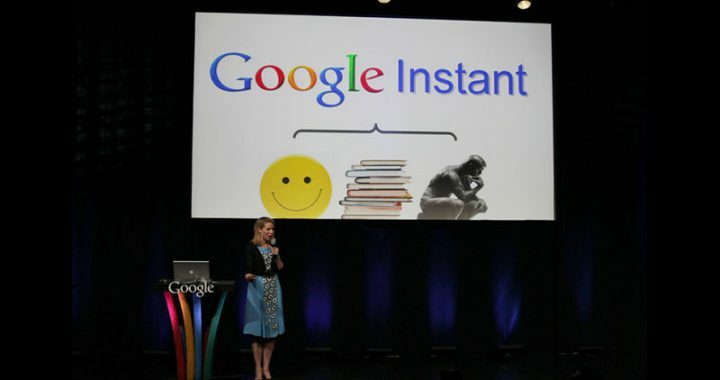 Google Instant was first launched in 2010, and it was under the leadership of Marissa Mayer. She intended to create a functional that would be responsive to the user’s query and deliver results faster. It used predictive technology to learn what users wanted, and served results for better or worse. Today, more than half of all searches are carried out on a mobile device. Instant Search no longer offers the same value to users that it once did, and so Google has discontinued the service entirely. You might recall the considerable media attention it garnered when it first launched. Google’s new search feature, rather than suggestion websites to visit, will now show users some suggested search queries. User will be able to drill down further with a few extra clicks, but the shift is subtle that most will barely notice it. For Google, this move will help bring the mobile and desktop experiences closer together. It will also do away with an uncomfortable feature many desktop users had already found ways to disable. This won’t completely alter the landscape of search, but it will bring back some emphasis on competition for the search page. Posted in SEO and tagged GOOGLE, instant search, pierre zarokian.